Lenders need to be willing and able to work with clients who are either looking to purchase a home now or in the near future. KDA Financial assists our clients in planning for their purchase, and thinking strategically about finance. There are a lot of choices to make when deciding to purchase a home or refinance an existing home. Let KDA Home Financial, LLC take the guess work out of the most important decision…. The Lender. Lenders need to be willing and able to work with clients who either are looking for a mortgage now or in the near future. At KDA Home Financial, LLC, we will take you from the initial application to the closing table and be with you every step in between. At KDA Financial, we work with clients in a variety of financial situations, assisting with everything from conventional home loans that offer a fixed rate 30 year mortgage with 20% down, to services for people who may be qualified for specific types of loans, such as VA and FHA loans. 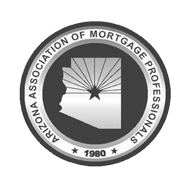 It is important to consult with a qualified mortgage professional to understand what types of loans you may qualify for, and the unique advantages and disadvantages of each. Getting approved for a loan requires a number of steps, and accompanying paperwork. From the moment you first begin considering your loan, you will want to take several precautions, such as not making new purchases on credit in the middle of the process. There are also some types of debt which may need to be paid or settled before your loan can be approved, and it is important to know what financial responsibilities will be incumbent upon you to secure the loan. When shopping for a new home, it is essential to know what price bracket you can look at. If you have barriers to borrowing, such as a high debt to equity ratio, this may limit the amount that you would otherwise be able to borrow. In fact, many real estate agents require that you have a letter of pre-approval prior to viewing properties, so that the agent and homeowner can be sure the potential buyer has the means to make the purchase and no time is wasted.